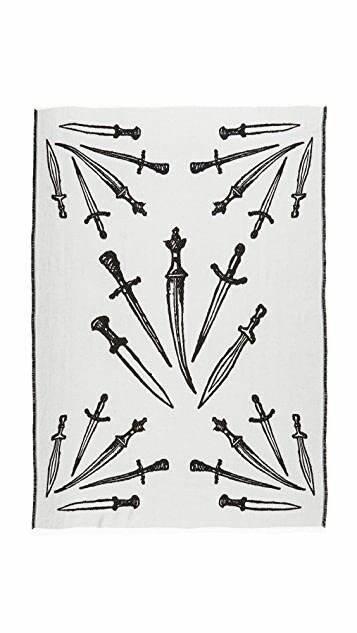 A dagger pattern adds edgy detail to this Rag & Bone scarf. Fringed edges. 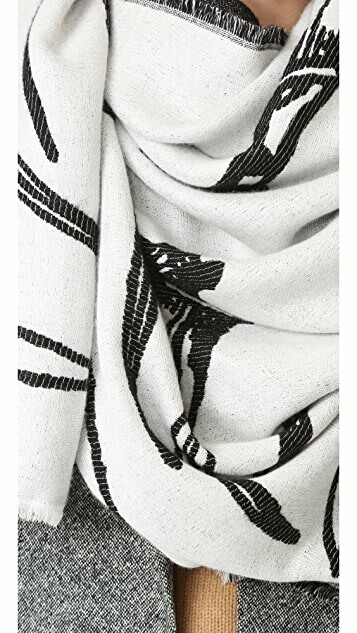 35% modal/25% viscose/23% acrylic/12% nylon/5% wool. I wanted an oversized scarf to wear with blouses and underneath my dressier winter coats. When my husband saw me try it on, he asked if it was Game of Thrones themed (i.e., the swords). 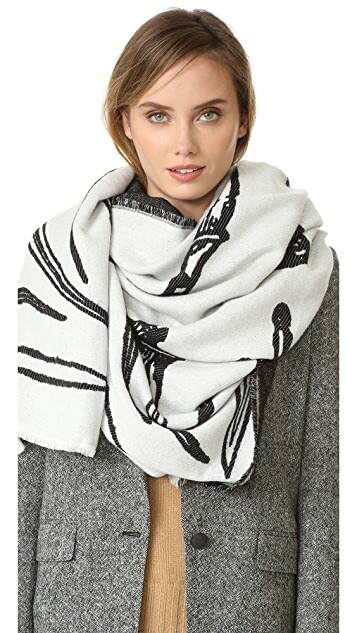 :-( This kind of ruined it for me - every time I looked at the design, the scarf looked a tad more ridiculous. Hence, the unfortunate return of the item despite nice quality.